Newlywed and much in love-Bipasha Basu and Karan Singh Grover seem to be having a blast at the IIFA 2016 Awards ceremony in Madrid, Spain. The official Twitter handle of IIFA shared a beautiful video of Karan and Bipasha who were seen expressing their love for each other in the green carpet. Bipasha was wearing a Sabyasachi creation, while Karan looked dapper in a suit, this Bong beauty also shared a picture on Instagram and wrote, "Indian vibes for #iiffarocks . In @sabyasachiofficial ? ?Jewellery by@aurellebyleshnashah". Other than, Karan and Bipasha celebs like Anil Kapoor, Sanjay Dutt, Sanjay Leela Bhansali, Boman Irani, Vivek Oberoi, Dia Mirza and Riteish Deshmukh also walked the IIFA green carpet. 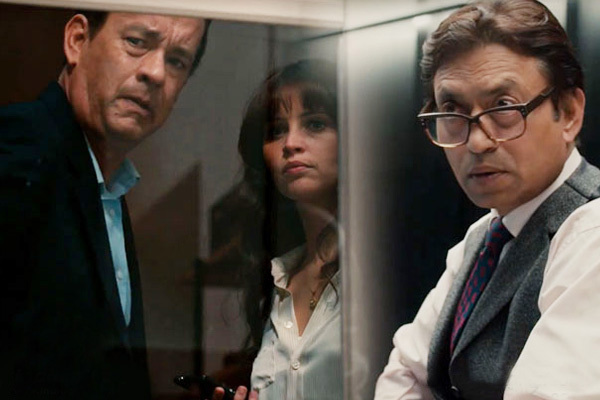 Watch intense & gripping 'Inferno' official trailer right here! The movie 'Inferno' is the latest film based on Robert Langdon book series created by author Dan Brown. Renowned company Sony Pictures Entertainment has released the latest trailer of upcoming thriller 'Inferno'. This recently released teaser trailer of 'Inferno' seems to have promised to show the most dangerous investigation so far. In the trailer you can see the mystery angle with a world-ending threat which includes evil plots, ancient clues and amnesia. The film is a sequel to award winning movie 'The Da Vinci Code' (2006) and 'Angels And Demons' (2009). Directed by ace filmmaker Ron Howard, this movie features Tom Hanks, Felicity Jones, Omar Sy, Sidse Babett Knudsen, Ben Foster and talented B-Town actor Irrfan Khan. 'Inferno' will hit theatres in October but before that watch the trailer right here!